I truly believe in the power of hope and will guide you in the process of healing and healthy living, focusing on the hope that happens as we embrace challenges and adversities. As a qualified couples and family therapist, I am committed to helping you develop the personal and relational skills and strategies needed in order to build and maintain a positive, meaningful life and healthy relationships. I truly believe in the power of hope and will guide you in the process of healing and healthy living, focusing on the hope that happens as we embrace challenges and adversities. With hope, and new skills you can face the storms of life with confidence! Hope renews your strength to repair broken relationships, to face anxiety, depression, grief and anything else! My concern is for your wellbeing and I look forward to the progression you will make towards positive life changes and a hopeful future. Through my 15 years of counseling experience and my own life experiences, you will find it, as client, easy to connect and build trust with me. Likewise, I have had the opportunity to work in different countries and with a wide range of people. From this experience, you will benefit from a grounded and broadened perspective for individuals (adults and children), couples and families. For your convenience, I am both fluent in English and French and can also speak conversational level Spanish. 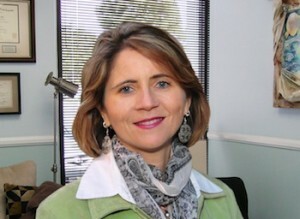 I hold a Doctorate in Psychology with a specialization in Marriage and Family Therapy. I am also certified in clinical hypnosis by the American Society of Clinical Hypnosis, with an emphasis in treating anxiety and depression. I am a certified positive discipline parenting educator, a certified alcohol and drug abuse counselor, trained in grief therapy, and certified in psychology of the web. Prior to entering the field of psychology, I was a licensed pharmacist and have extensive knowledge and understanding of medications and their various effects. Additionally, I taught as an Adjunct Professor at Alliant International University (AIU) in both the Masters and the Doctoral Marriage and Family Therapy programs. I taught courses on couples’ therapy, family system theories, chemical dependency and the family, biological aspects of behavior and psychopharmacology. I stay up to date on the latest research findings regarding the effectiveness of mental health treatments and strategies. My personal Doctoral research focused on the effects of chronic illness on couples’ relationships and the family dynamics. I worked on formulating positive methods for protecting the family and promoting a healthy approach to handling such illness in the family setting. As a speaker I have the opportunity to interact with large crowds in both public and academic settings. This keeps me in touch with the needs of the community and up to date on new data findings concerning mental health treatments.